Nils Schramm completed his legal education at the universities of Kiel and Paris (France) and worked as a legal trainee amongst others in Berlin and Barcelona. 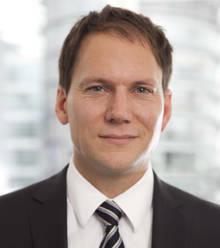 From 2002 until 2010, Nils Schramm was a lawyer in the leading international law firm Freshfields Bruckhaus Deringer LLP in Hamburg and was appointed Counsel in 2008. Nils Schramm is a founding and active partner of SCHRAMM MEYER KUHNKE. He is also a lecturer of law at the Bucerius Law School in Hamburg and the author of many publications relating to employment law. Nils Schramm advises companies and executives on all aspects of employment law and represents his clients in and out of court. He has many years of experience in advising companies on restructurings, in particular site closures, relocations or downsizings and has assisted his clients in negotiations with works councils and labour unions. Another focus of his work lies in questions relating to collective bargaining agreements and strikes, co-determination law and the implementation of flexible remuneration and working time models. Nils Schramm advises in German and English.